This article is part of a series produced for MIAS. To view other articles, click here. 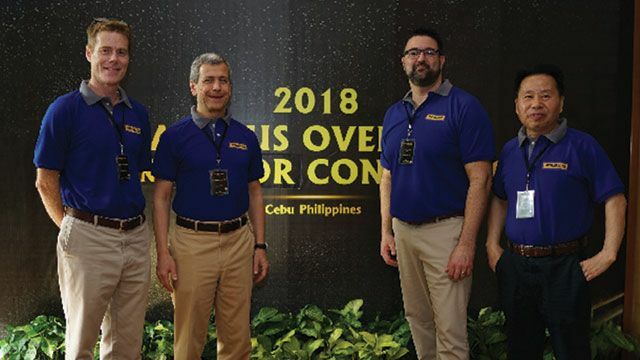 Aeolus Tyres Co. Ltd., one of the world’s largest tire makers, held an International Dealers Conference in Cebu to update its top distributors about the company’s strong stance on pro-environment initiatives. 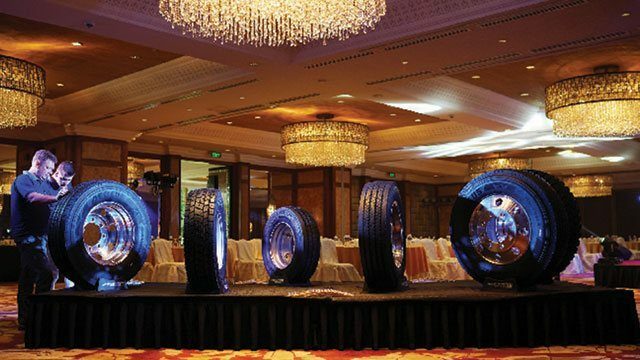 Held at the Shangrila’s Mactan Island Resort and Spa, the conference introduced the brand’s new Truck Tires technology—the first step in commencing Aeolus' commitment to pursuing environment-friendly practices throughout its operations. Mr. Giovani Pomati (General Manager / CEO of Aeolus tires) and Mr. Yang (International Export Director of Aeolus tires) with the Brazil and Canada distributors. For its NEO Series Truck Tires, Aeolus has adopted the technology of Italian luxury tire brand Pirelli—a major feat, given that the European market is very particular when it comes to fuel consumption, handling, braking on both wet and dry conditions, and better mileage. Aeolus is one of many manufacturers in China that heeded the call of the Chinese government to lessen the carbon footprint in the country, which is why its tires conform to an environment-friendly manufacturing process. The conference brought in over 80 VIP delegate-distributors from more than 27 countries around the world. Aside from meetings, activities to highlight Cebu’s attractions were lined up by Southgate Express Marketing Inc.—Aeolus' exclusive top distributor in the Philippines. Aeolus Tyres is among the top four industrial tire manufacturers in the world. It produces over 14 million tires each year for a wide range of vehicles and is available in over 140 countries. Visit this website for more information on dealers. This article is sponsored by Aeolus Tires Philippines.